Today we’re going to talk about change management and the importance of that, in developing content strategies and actually rolling out content strategies. In our work with clients, we again and again, come across how underestimated the change management piece is as part of content strategy. When we’re talking about content strategy, we’re not talking about a campaign, we’re not talking about creating a calendar that just manages the frequency of your content creation. 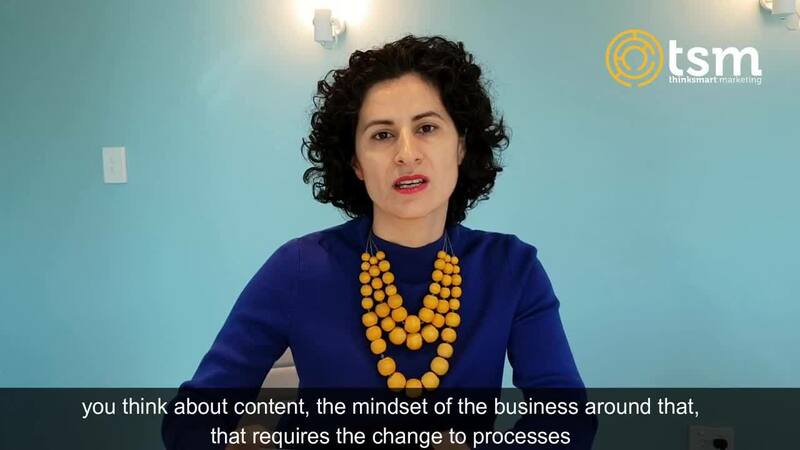 We’re talking about a strategic shift in the way you think about content, the mindset of the business around that, that requires the change to processes, to some of the policies, to the mindset of the business and sometimes to the team in the business. And all of those things require some change management and willingness for the organisation to actually be open to the change in order to reap the benefits, that are enabled through the strategy. It’s something that really cannot be underestimated, it’s something that absolutely comes up in all our work with broader content strategies in the business, so please, have a think about your content strategy in light of change managements required and don’t underestimate that. And if you want any help around that topic or area feel free to get in touch. Thanks.